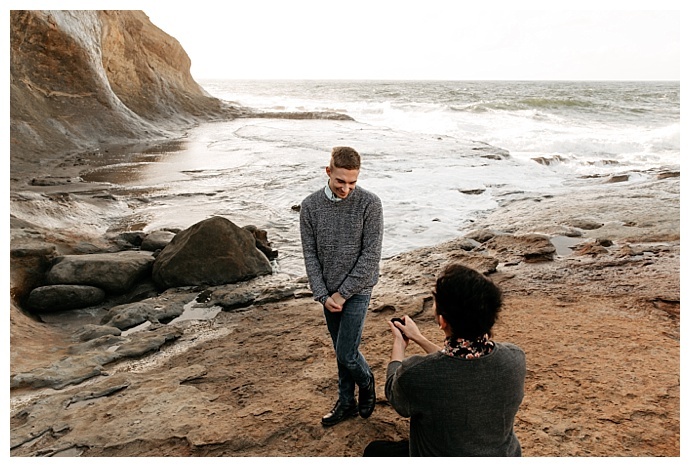 A photo shoot disguised as a surprise proposal continues to be one of our favorite ways to see couples get engaged. 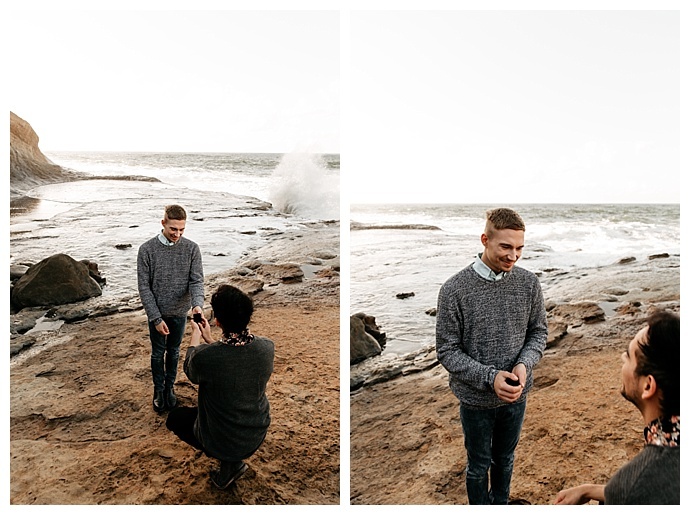 There’s just nothing like being able to experience the anticipation and then see the shock and surprise that falls over unexpected faces at the sight of a ring through a photograph. 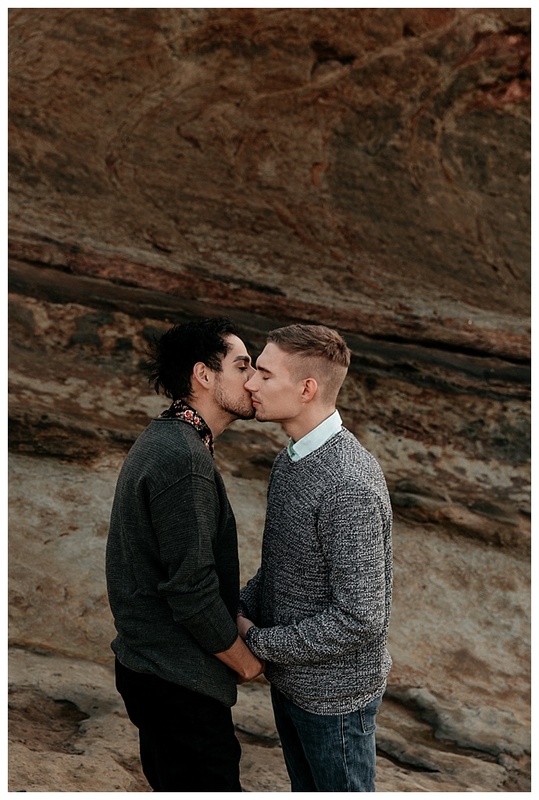 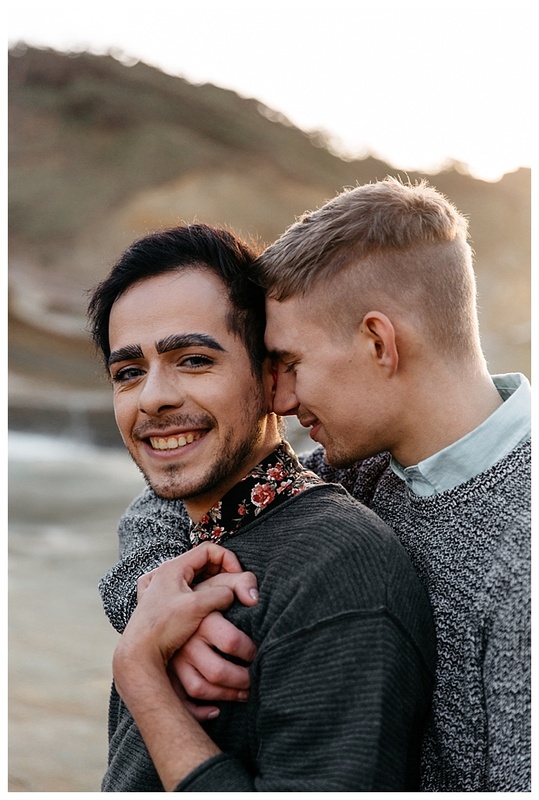 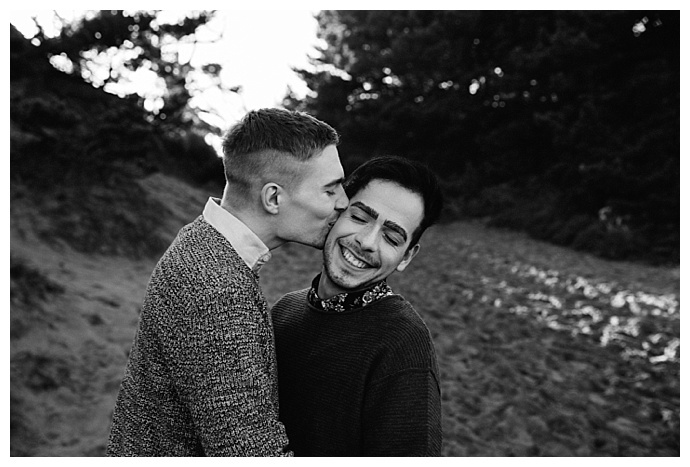 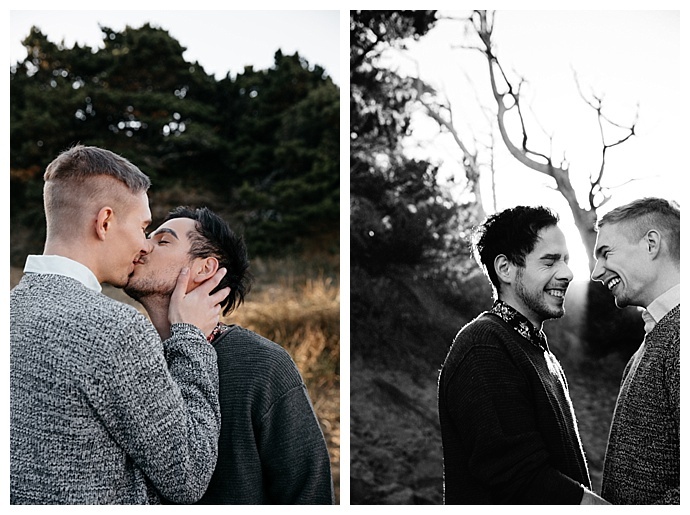 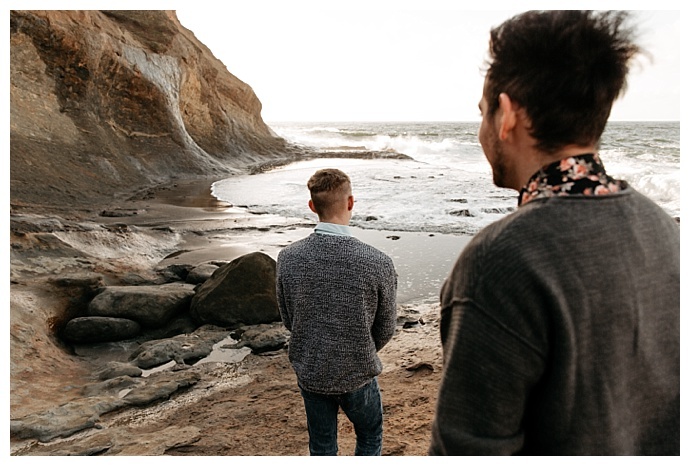 When the opportunity presented itself for Farwel and Ian to take some pictures together with Brittney Hyatt Photography, Farwel knew he wanted to seize the moment. 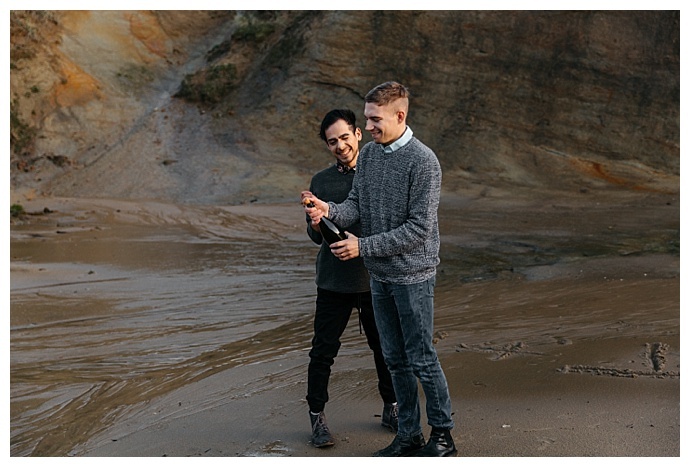 So with a secret plan in place, they traveled to the scenic Oregon coast, and Farwel surprised Ian with a question that changed their lives forever. 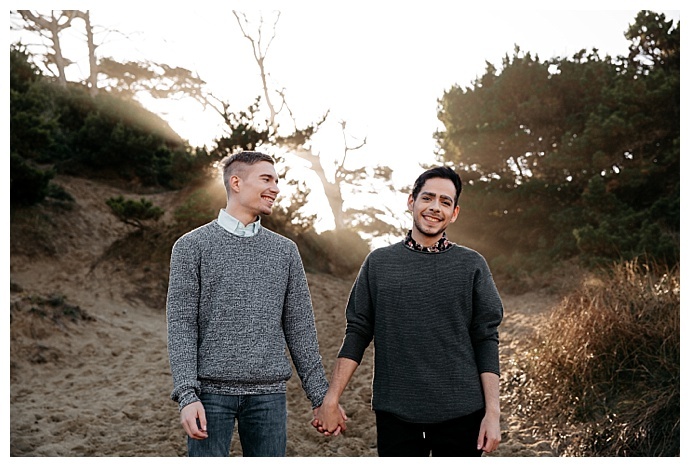 A couple years later, Farwel and Ian were visiting Seattle and strolling around the city’s famous Pike Place Market when Farwel had a revelation. 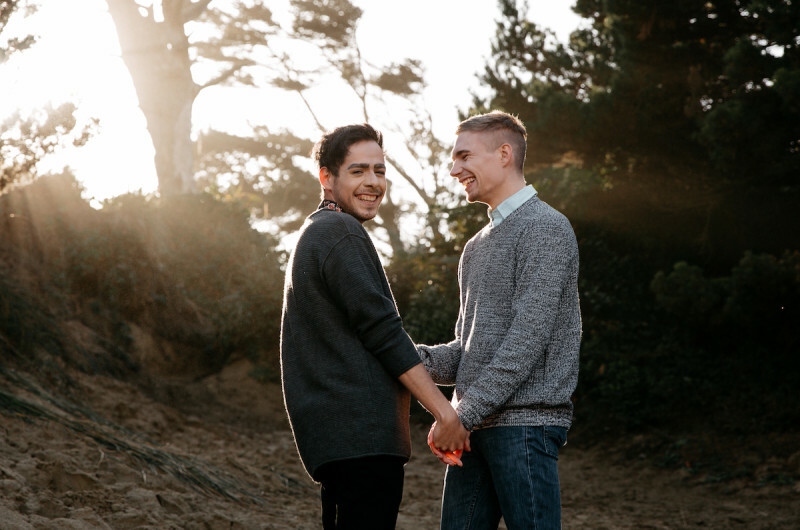 “It hit me — I wanted him to be my husband,” he says. 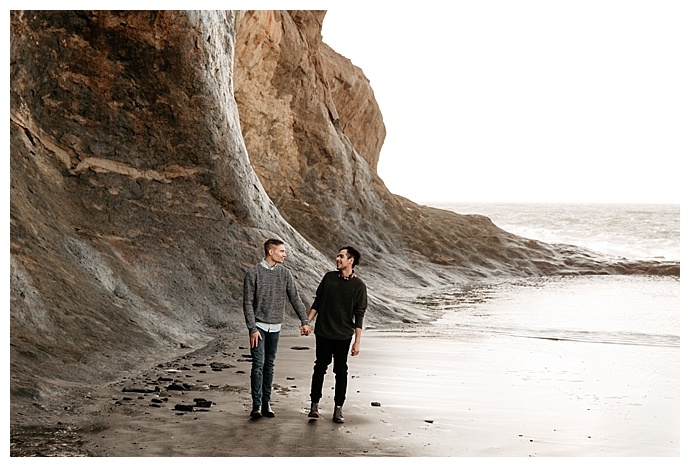 “I don’t know why it hit me while we were walking around Pike Place, but it did.” And it wasn’t long before he started putting plans in place to surprise Ian with a ring. 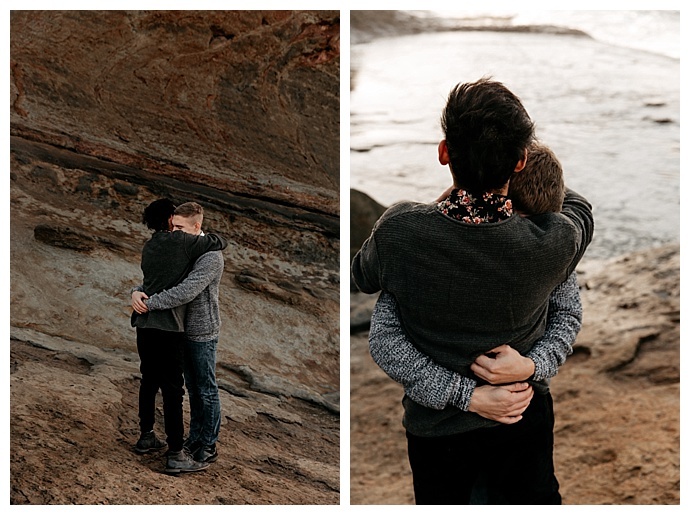 When photographer Brittney Hyatt reached out to Farwel about a photo shoot, he knew it was the perfect opportunity to both propose and capture it on camera. 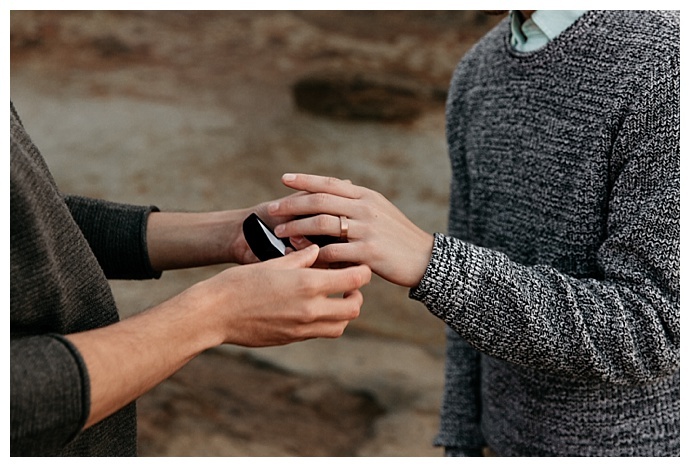 “I asked if she could help me with proposing, and she freaked, which made me freak,” he says. 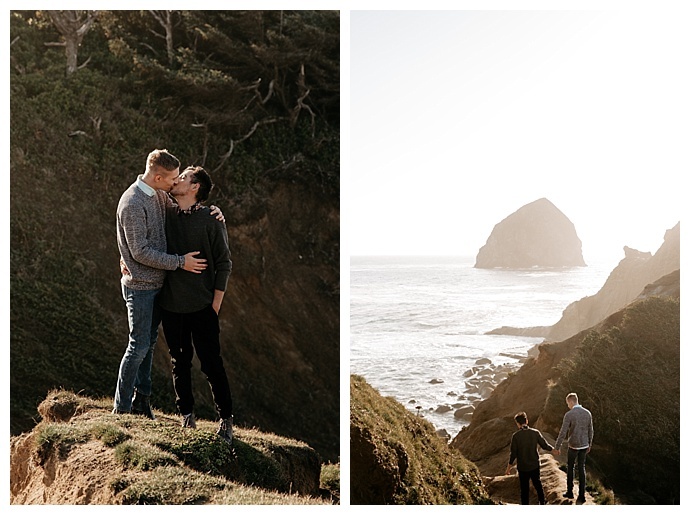 “We were both so excited to get this proposal started.” When the day arrived, they traveled to Cape Kiwanda on the coast of Oregon as the sun was beaming on the ocean. 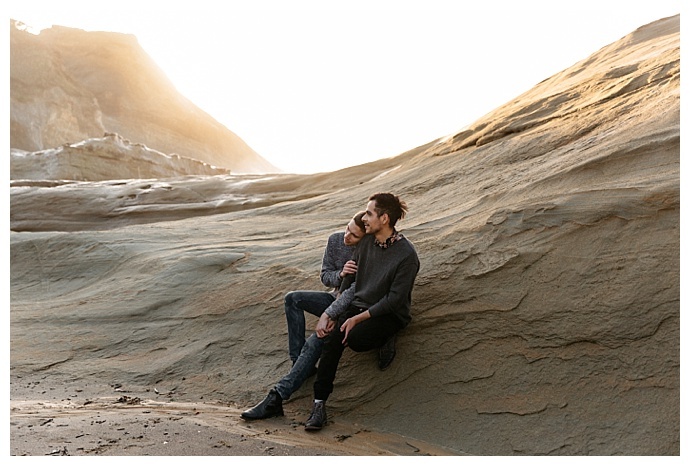 Ian was clueless as they posed for pictures and admired the scenic view. 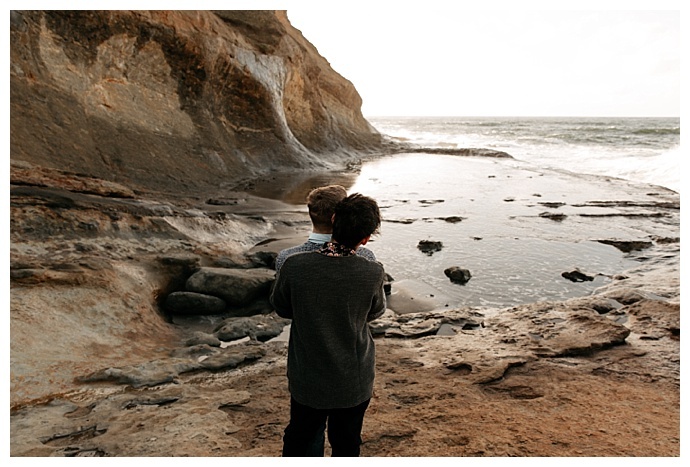 When they made their way all the way down to the cove, Brittney knew the timing was right. 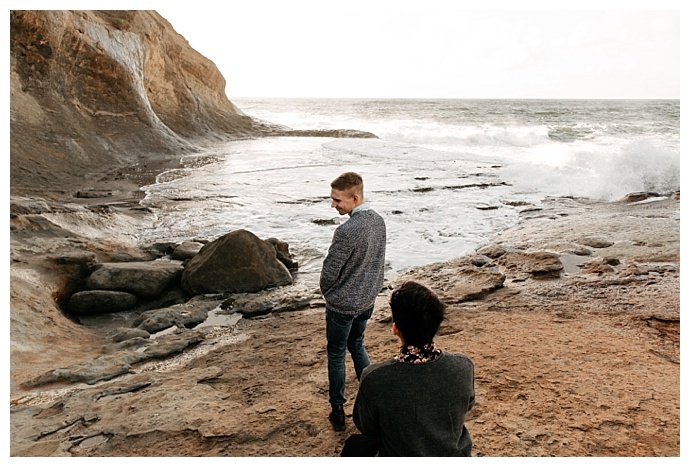 She told Ian to face the ocean and muttered the secret word, magical, to let Farwel know she was ready to hand him the ring that she had been keeping safe for the afternoon. 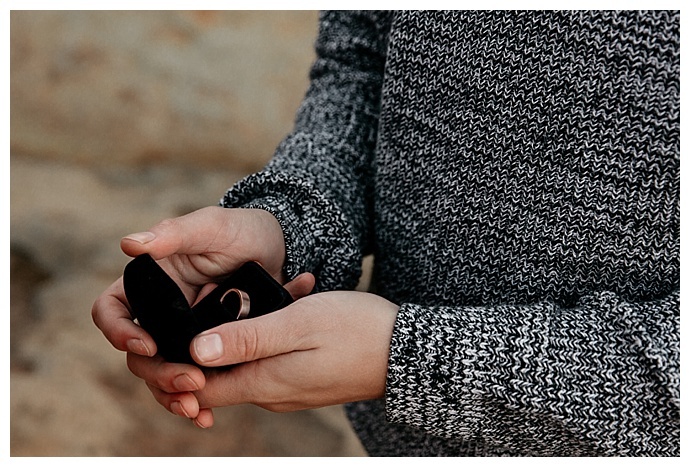 And when Ian turned around, he found Farwel down on one knee holding a titanium rose gold band in a little black box. 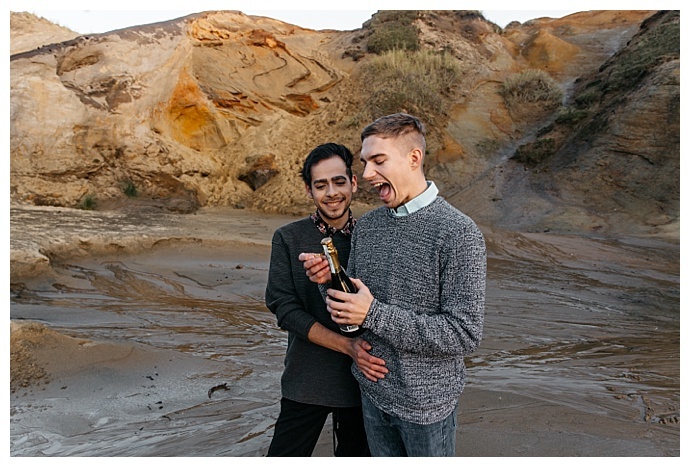 He reached out for the ring and pulled Farwel into a hug after saying yes, and they celebrated the beginning of the rest of their lives by popping a bottle of champagne.